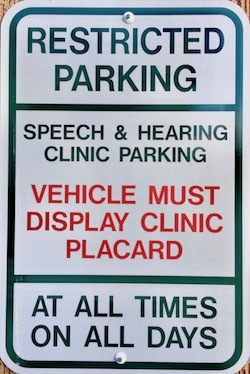 For your appointment, you are welcome to use one of our 8 parking spaces (including 2 disabled spots) located in the alley behind our clinic that display the sign below. Enter the one-way alley from NE 41st Street. 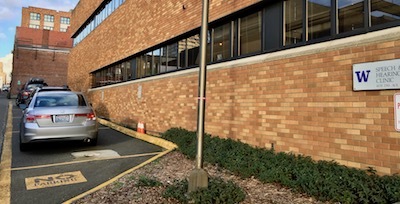 Parking spaces are available on a first come, first served basis. When you arrive, we will provide you with a dated parking placard to display on your dashboard. Parking lots and street parking are also available to use at your own expense. Please call us at 206-543-5440 if you have parking questions.